(Sketch G No. 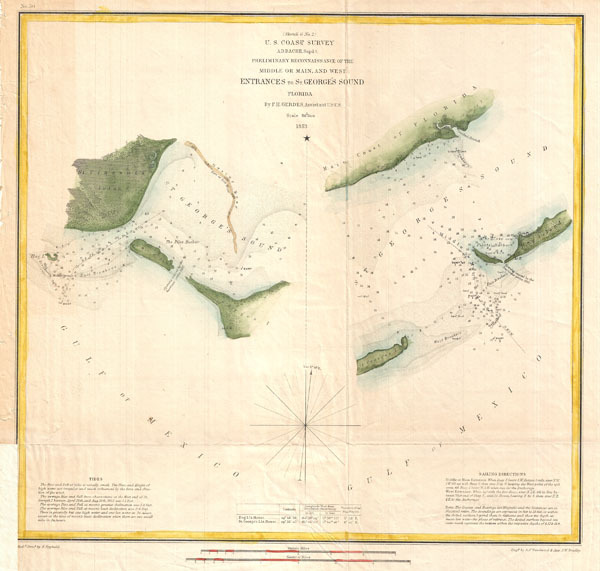 2) Preliminary Reconnaissance of the Middle or Main, and West Entrances to St. George's Sound, Florida. Report of the Superintendent of the United States Coast Survey, (Washington) 1853. Very good. Margin extension lower left quadrant.